It was at the height of his popularity. I was a roadie for a summer. My cousin’s group; Sleight of Hand, put me through the rigors of Rock n Roll. The girls and drugs completed my basic training. Sleight of Hand was the opening act for Jeff Healey in Lindsay,Ont . It was exciting for everyone in the band. The Canadian blues-based guitarist was a homegrown star with songs like; ‘Angel Eyes’ and ‘ Hideaway’. The latter nominated for a Grammy award for best rock Instrumental song. 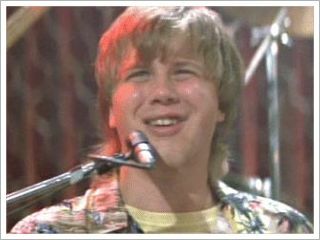 The Jeff Healey Band had also portrayed the house band in the Patrick Swayze film; Roadhouse. Bassist Joe Rockman, drummer Tom Stephen and Healey were on the top of the Canadian music mountain – peaking at just the right time. I was setting up Sleight’s equipment and was approached by Healey’s manager. Apparently, the guy who operated the lights for Jeff’s group was running late. The manager asked me if I could do it if he did not show by the time Healy was starting. Who was I to say no? A job which may lead to an encounter with bigger stars or prettier girls. Or prettier stars and bigger girls? Once Sleight of Hand finished, their equipment packed away into a run – down Chevrolet van, the manager of Healey acknowledged the absence of the light guy. I was in as the man responsible for fans ‘seeing’ the blind guitarist in different colored lights. On top of a stepladder was my position for the following two hours. Altering on cue ( according to Healey’ s solos ) – the spotlight on the band and it’s leader. The show went on. I missed a few cues by a few seconds while the ladder shook under my ‘skaky -due-to-nerves’ legs. All in all, a successful debut in front of 5,000 small town screaming inhabitants. Afterwards, it was time to live the backstage life with backstage rock folks and various backstage hangers-on. My cousin and I – sandwiched between a table of booze and a table of food, noticed Healey sitting on the couch with his arms around a not-so-pretty woman. My cousin, the sleuth he was, figured that Jeff’s bandmates had told Healey the woman in question was attractive as a joke. A ‘blind’ stab at humour. It was confirmed later by the bass player. By then, the point and joke were moot. Healey was in love and vice versa. A match in Lindsay,Ontario. Healey himself, following a conversation later on – one of the most down to earth guys. Not a presumptuous bone in his body. He discussed his record collection consisting of 78’s. A collection which was famous. He shared his tales of kinship with Patrick Swayze while filming the movie Roadhouse. The two had the utmost respect for one another. Healey never quite matched that period of success again – commercially. He passed away in 2008 from cancer. It was another form of cancer, retinoblastimo, which lifted his sight when he was eleven months old. Jeff worked with many famous musicians over his career. It was Stevie Ray Vaughn who discovered him which led to his first record contract. Healey informed me of the first time they spoke. Sleight of Hand’s lead singer; Dave Bingham, was also the singer for a group called The Ugly Ducklings back in 1967. The group had a number one song in Canada for a few months. ‘Gaslight’ was a homegrown hit and managed to surpass the Rolling Stones – if only for a brief period. George Harrison and Jeff Lynne were also two guys Healey worked with as the Toronto born singer covered ‘ While my guitar gently weeps.’ Harrison and Lynne sang back-up. Healey was a month away from releasing his first blues/ rock album in eight years when he died. Between the time I met him, he recorded and played various Jazz oriented albums, releasing three cd’s and toured Europe extensively. Previous Previous post: Secret Meetings Solve Bands’ Problems!